You are registering for the 2019 Jacksonville Tattoo Convention, please read over the below information, complete and agree to the terms. If you have not done the payment portion, once this registration form is completed, you will need to make payment to confirm your booth(s). *After submitting your payment and confirming your spot, refunds will not be given. Only unless the convention is cancelled due to outside reasons. This is in regard to weather, hotel/ venue circumstances and other unforeseen "Act of Nature" situations. In the event that this was to occur, another set of dates would be provided as the new convention dates and your payment will be credited to that new set of dates. * We do not accept deposits. If you submit a deposit, your spot will not be considered confirmed and the deposit will be returned. Full payment must be received. * The person/ shop completing this registration is responsible for making sure everyone working the booth(s) has all the information and any information provied in the future for the convention, hotel and tattooing requirements. * All booths are on a first come first serve basis. * Booth locations are done by the convention organizers. We do not provide a copy of the floor plan and it is fluid and changes. If you have a shop or booth you want to be near, we will do our best to make that happen but there is no guarantee. * Piercing is not allowed to take place in any booth or any of the convention areas. * If you are splitting a booth with another shop, the name of that shop must be listed on the registration form. Please list them in the specified tab below. * Completing this online registationformdoes not secure the space. Payment must also be submitted to complete registation. * Tattooing is only to take place during the convention hours open to the public. * Any altercations or disputes with other exhibitors, attendees, or anyone else, will result in immediate eviction from the convention area. If such actions were to take place and depending on the severity, legal actions could be held againt the participating people/ parties. * All artists working the show, must have their Florida Tattooing License. Any artists doing work at the convention will be required to have a copy of their license/ permit to work during the convention. If you need an application or information on these permits and licenses, please email us or contact the State Representative, Cassandra Haverkamp at cassandra.haverkamp@flhealth.gov. Each artist/ booth must comply to the guidelines, codes set for by the Health Dept. in order to be able to tattoo at convention. (A list of these guilelines will be provided prior to the convention). * You will be allowed up to four badges per booth/ spot paid for. It will be the number of booths that you purchased times four badges. At the time of onsite registration, you will be required to provide both first and last name of each person in your booth. Badges will only be issued for the names given. Additional badges will be available for a nominal cost of $50.00. ONLY FOUR BADGES/ WRISTBANDS WILL BE GIVEN FOR EACH BOOTH PURCHASED. They are only for people working the booth. No clients or others. * We ask that someone man the booth during all hours the convention is open to the public starting the Friday- Sunday of the convention. Each tattooing booth includes: 10x10 space, 2 tables, 4 chairs (tables and chairs are standard hotel stye), electricty outlet, pipe/ drape andbio box with sharps container.. Exhibitors/ Artists are responsible to bring any items needed that is not noted with what booth(s) include. 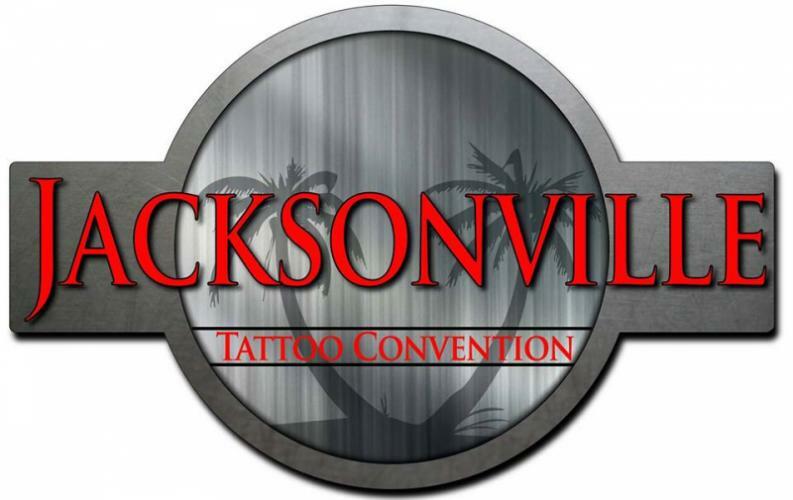 * Convention Pro's and the Jacksonville Tattoo Convention reserve the right to refuse and refund any submitted registrations, shops and artists. *** By signing this you agree to and understand the information provided in this letter. Please sign and return with the attached payment/ registration form page. Website/ Social Site: This is what we post to the website so others can see. How many booths are being registered for?